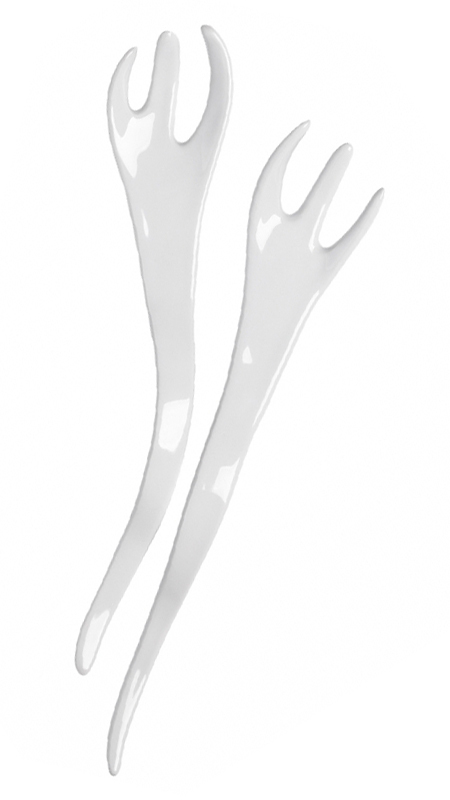 Salad forks, irregular form. White glazed porcelain. The Famished Salad Forks satisfy its hunger at mealtimes, but with more than just food.